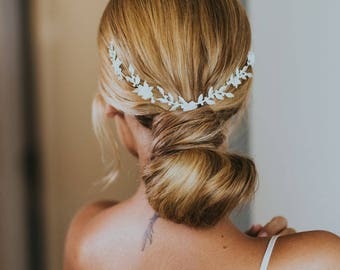 Look elegant and feel beautiful on your very special day! 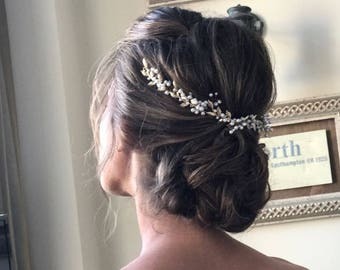 Swarovksi crystals and a decorative leaf design come together to make a unique tiara that looks gorgeous on so many different hairstyles. 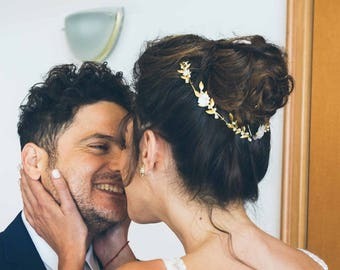 Whether you're having a bohemian, modern, or vintage inspired wedding, a sparkly handmade headpiece will complete your look. Available in silver or gold - please choose the metal finish you'd like from the drop down menu. The jewelry comes beautifully wrapped in a branded gift box with my logo. 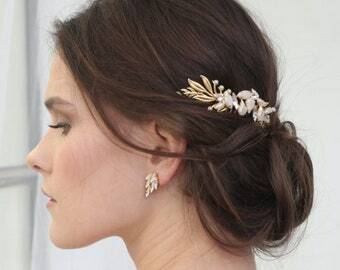 These earrings are so lovely and delicate! Also the packaging is really sweet and included a little note! Love them, can't wait to wear for my wedding!! Thanks Aya!! I finally received the hair chain! It's so cute! 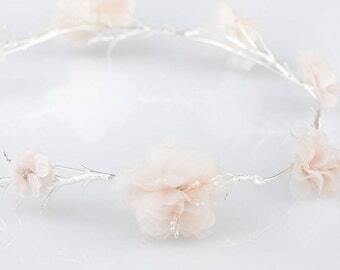 I think it will make the difference in my bridal look! Do you accept credit\debit cards? Yes, I do - I accept all credit cards via Paypal. PLEASE NOTE that You don't need a PayPal Account to pay for your items via PayPal. - Choose PayPal at checkout. - After you submit your order click the PAY NOW button. - Scroll Down and you will see the option to pay with a Credit/Debit Card WITHOUT having to log into a PayPal account.